And the winner of the WebOS Ports wallpaper contest is none other than a very familiar face to the webOS community: Adora. Known in the physical realm as Lisa Brewster, she spent years as a developer relations guru and App Catalog reviewer at Palm and HP before leaving last summer for a similar job at Mozilla as reviews manager for the new Firefox OS marketplace. 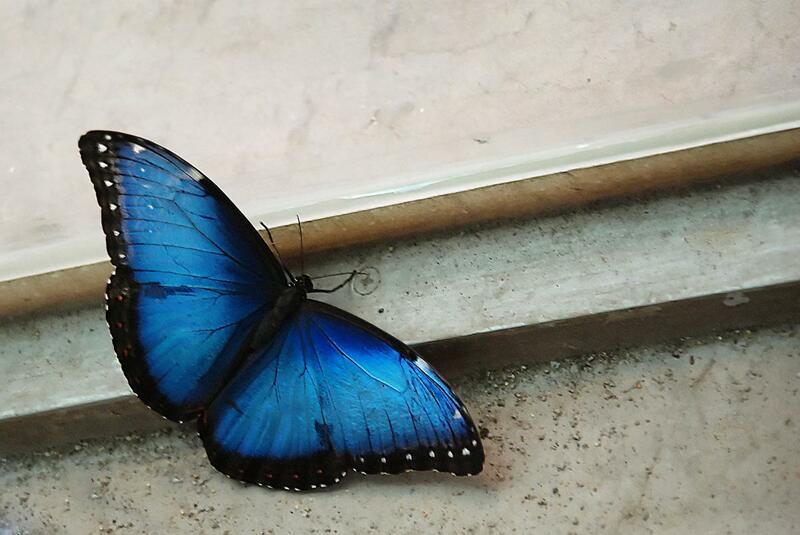 Brewster's submission was a beautiful photo of a vibrant blue butterfly resting in a sea of concrete. She tells us the photo was taken with a Nikon D90 at the California Academy of Sciences's Rainforests of the World exhibit in San Francisco. While the contest was technically just for the Galaxy Nexus port project, we wouldn't be surprised to see the blue butterfly performing a migration to other WebOS Ports ports. Brewster's butterfly may have claimed the default spot, but it's not the only wallpaper that will be included. Thirteen other options will be packaged up with the Galaxy Nexus port, with beautiful photos of the cosmos, flora, weather, and fences to fill your background. Good choices all around.